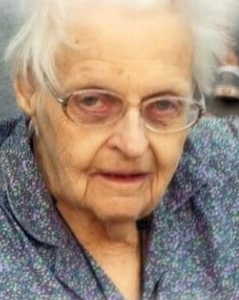 Janet Mabel Rogers, 89 of Caldwell, Idaho passed away peacefully in the arms of her loving daughter on July 22nd, 2018 at her home. Janet was born in Wilmington, Vermont on October 3rd, 1928 to C. Starr and Mabel cooper. She graduated from Wilmington High School in 1946 and attended Bay Path Secretarial School until 1948. In 1951, she married the love of her life, United States Air Force Tech Sargent Charles Rogers Jr. “Rog”. They were inseparable and went on to travel all over the world with the Air Force; her favorite places began Holland and Europe. would light up a room. If you were lucky enough you even got to hear some of her amazing stories about her life and adventures as a young adult. Janet is survived by her two children, Nancy (Ralph) Hernandez, and Doug Rogers (Gail Lockwood); her 3 loved grandchildren, Ken (Chrisandra) Morgan, Sheena (Shannon) Huff and Rebecca Rogers. Janet had 7 great-grandchildren and 2 great-great-grandchildren. They were all the light of her life. Janet was preceded in death by her parents Starr and Mabel Cooper, and her beloved husband Charles Rogers. A graveside service will be held at 10:00 a.m. Friday, July 27th at the Emmett Cemetery.